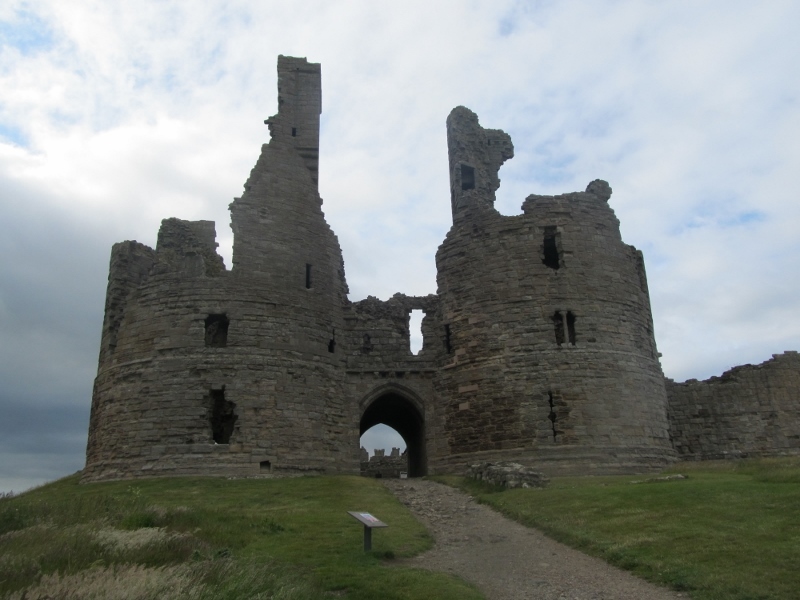 Another installment of my personal ‘top twenty’ of castles that I’ve visited. Third and final part to come next week! Devin Castle, Slovakia – A few years ago, some friends who were living in Bratislava at the time took us to visit Devin, which isn’t far from the city. 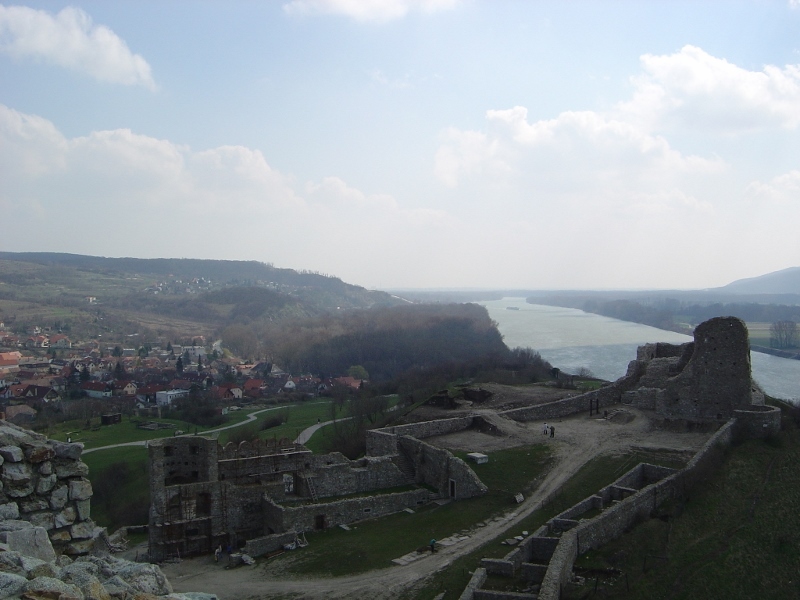 It’s an evocative relic of the time when this was probably the most important frontier in Europe: the castle stands on a great cliff overlooking the confluence of the Danube and Morava rivers, so this was always a prime strategic position. Unsurprisingly, it changed hands many times, but since the fall of Communism, the castle has been sensitively maintained and various archaeological digs have taken place there. Fotheringhay Castle, Northamptonshire – Fotheringhay is something of an exception in this list, as there’s nothing left of it. 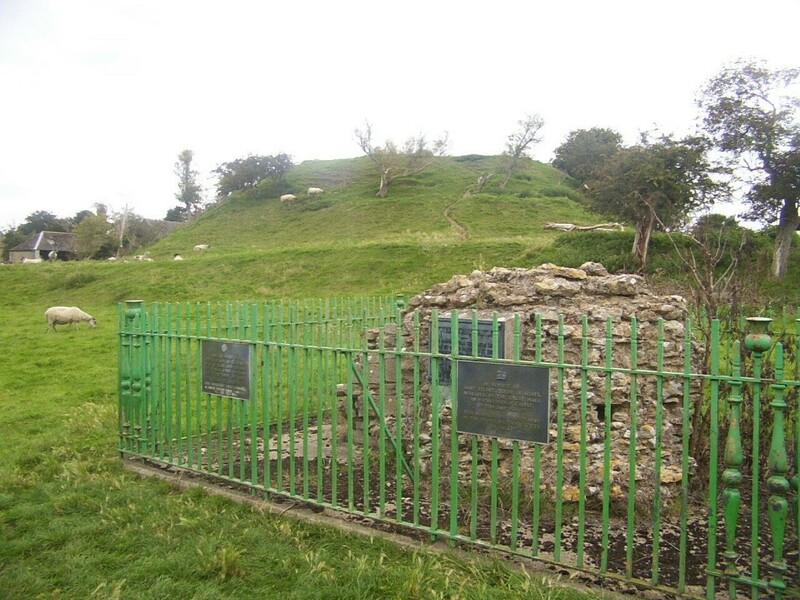 Well, that’s not strictly true; there’s a mound and some earthworks, and one surviving lump of masonry that’s now preserved behind stone railings. But two plaques on those railings tell you why Fotheringhay Castle deserves a place on any history lover’s ‘bucket list’. One records the birth here, in 1453, of King Richard III; the other remembers the execution of Mary, Queen of Scots, in the castle’s great hall in 1587. For those who possess a strong historical imagination, standing on top of the mound, watching the river flow gently by, and then walking the few yards to the great collegiate church where Richard, Duke of York (father of Richard III and his brother Edward IV) and other members of the House of York lie buried, is a very good way to spend an hour or two. 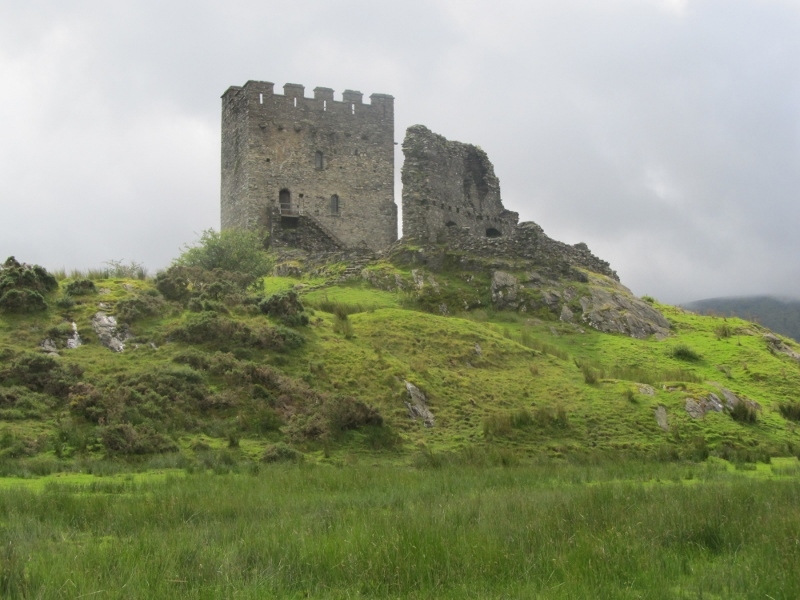 Dolwyddelan Castle, Gwynedd, Wales – As I mentioned last week, I’ve deliberately omitted from this selection the great tourist-trap castles of North Wales – Beaumaris, Caernarfon, Conwy, Harlech and the rest. Architecturally, little Dolwyddelan isn’t in the same league; it’s little more than a square keep on a knoll in a Snowdonia valley. But this was a castle of the Welsh princes, not of the conquering English, and the difference in size compared with Edward I’s vast fortresses speaks volumes about the relative resources available to the two sides. It also speaks volumes about differing strategic assumptions. Edward’s castles tend to be on the coast, where they could be resupplied by sea in the event of attack by the hostile locals, while Dolwyddelan is in the very heart of Snowdonia, both controlling the area around it and very much at the heart of the community. These days, of course, people go there for the stunning views, at least as good as those surrounding many of its better-known neighbours. 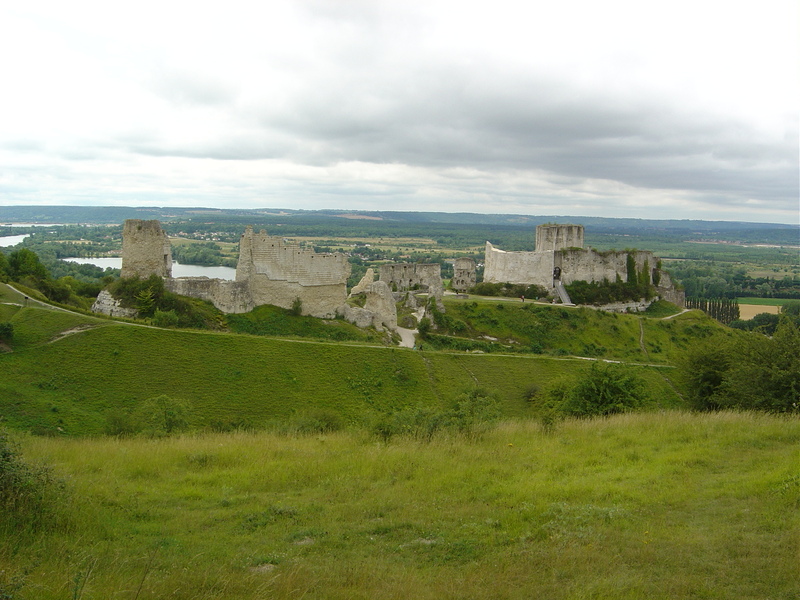 Chateau Gaillard, France – I saw a photograph of Chateau Gaillard in a book when I was quite young, and decided at once that I’d visit it one day. I’ve now been several times, partly because it’s quite close to Rouen, where my great uncle is buried; he was gassed at the end of August 1918 and died in a military hospital in Rouen a few days later, so there have been a number of family pilgrimages to his grave in the vast, immaculate Saint Sever military cemetery. As for Chateau Gaillard, it certainly didn’t disappoint. It dominates the valley of the Seine where the river flows beneath impressive chalk cliffs, and overlooks the town of Les Andelys – which I reference indirectly in the Quinton Journals, where Matthew’s friend Roger holds the title of Comte d’Andelys. Built by King Richard the Lionheart to defend his ancestral homeland of Normandy, the fall of the castle during the reign of his brother John presaged the loss of the duchy. Dunstanburgh Castle, Northumberland – I’ve included Dunstanburgh to represent the other great castles of Northumberland, such as Bamburgh, Warkworth and Alnwick (of Harry Potter fame). It also happens to be the one I’ve visited most recently; we were on holiday in the area a couple of weeks ago, and did the glorious beach walk around Embleton Bay to the castle. Built by Edward II’s cousin, Dunstanburgh was actually something of a white elephant – covering an area so vast that, even in its heyday, most of the ground within its walls was unoccupied, the castle was designed essentially for show, even to the extent that a lake was constructed in the valley below simply to provide stunning reflections of the castle’s towers and pinnacles. 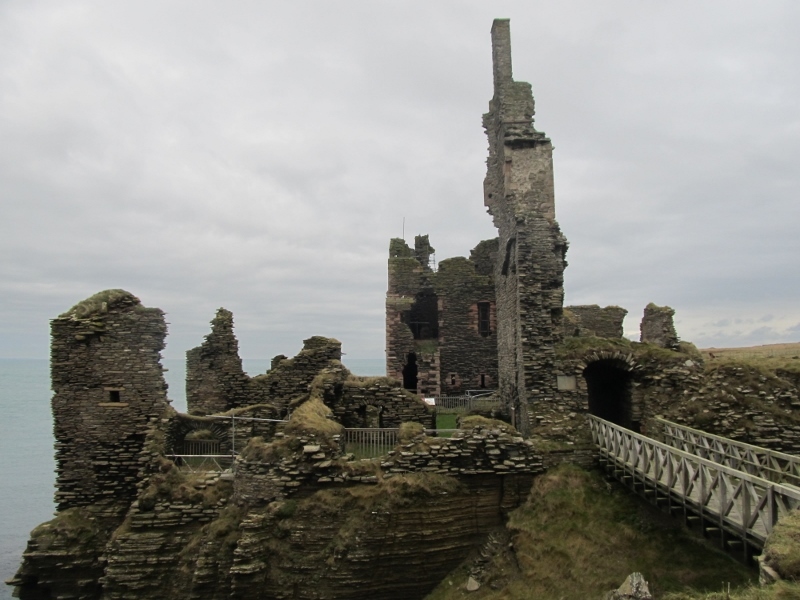 Castle Sinclair Girnigoe, Caithness, Scotland – OK, yes, another clifftop castle. But there are castles on cliffs, and then there are castles that seem to merge into the cliffs or to be in imminent danger of falling off them. The location of Sinclair Girnigoe is simply stunning, in the far north-east of Scotland not far south of John o’Groats. The castle was designed to fit a rocky headland that is very nearly an island, so it must always have seemed almost like a vast ship; and in a winter storm, it must sometimes have felt as though the entire edifice was about to tumble into the seas that lash the rocks. It was the seat of the Clan Sinclair, and perhaps it’s a sign of how slowly things change in that part of the world that a Sinclair is still the local MP! Llansteffan Castle, Carmarthenshire, Wales – Very much an old haunt! I grew up a few miles from Llansteffan, which stands guard over the estuary of the River Tywi, the scene of one of the largest naval battles in Welsh waters (in 1044). The castle itself is relatively undistinguished and played little part in history, but it’s got a lot of resonance for me. 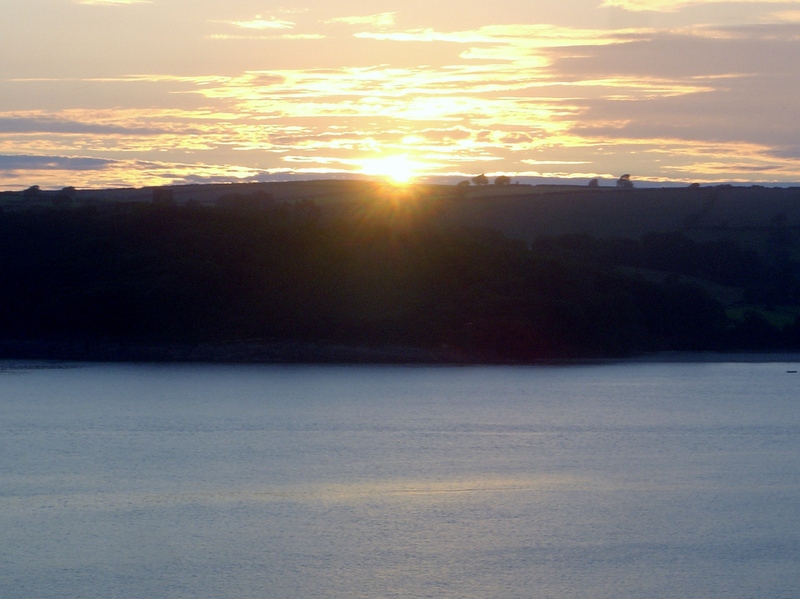 My cousin owns a property almost directly across the estuary from it, the scene of many family get-togethers and barbeques over the years, and on a few days in the summer, the sun goes down directly behind Llansteffan Castle when viewed from the cottage. It’s a view to die for, made extra special by the knowledge that so few people have ever seen it from that location!